Dexter Daily: Madison Curtis Plays [Spoiler] in Episode 7.02 "The Shadow Knows"
Madison Curtis Plays [Spoiler] in Episode 7.02 "The Shadow Knows"
This was posted as rumor earlier today on SpoilerTV via IMDb, but it looks like it's true. Episode 7.02 "The Shadow Knows" will feature flashbacks, this time not for Dexter and Deb, but for Yvonne's new character. 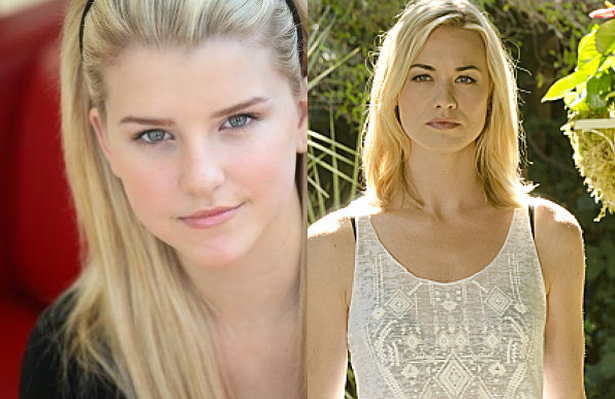 Madison Curtis plays young Hannah McKay. The actress confirms this rumor via her twitter account by retweeting a relevant tweet. I guess since Hannah has a 2 season arc, she needs a flashback. First ever guest star (other than Brian) to get a "younger version" flashback on "Dexter". She has a 2 season arc? Is that from reliable sources? I remember hearing the first spoiler of S7 as Hannah having an arc that expands to S8 from one of those ask ? 's to gossip tv people but nothing since then.